With built-in WiFi technology, it's easier than ever to share captured images and HD videos with friends and family. Compatible with WiFi® (802.11 b/g/n wireless standard), this camera can connect with compatible home networks or to wireless access points. You can easily share your images and videos by signing up on CANON iMAGE GATEWAY* - an online service that lets you store images to an online album, and share your images on Facebook, Twitter, and YouTube. Upload images virtually anywhere, via your iPhone®, iPad®, or iPod touch® mobile devices by installing the freeCanon Movie Uploader app (the Android app is under development). 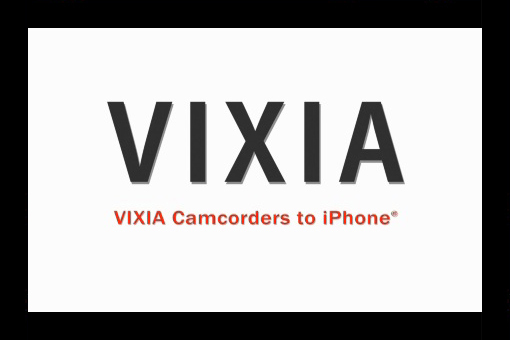 Step-by-step instructions for connecting your VIXIA to your iPhone®, iPad® or iPod Touch®, using a wireless or 3G/4G network. 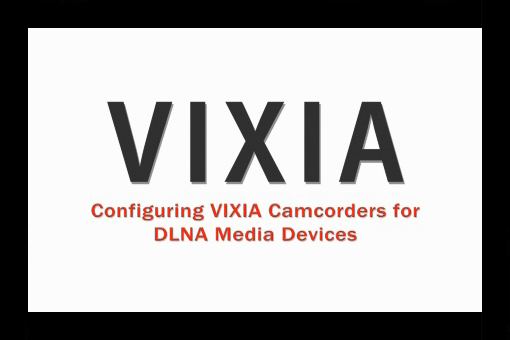 Find out how to configure your VIXIA for DLNA Media Devices! Configure your camcorder to post your videos online and more when you set up a free CANON iMAGE GATEWAY account. Charges Li-Ion Battery 700 Series. High capacity intelligent battery pack. Compact Power Adapter for the BP-110 Battery Pack. Compact, high performance wireless microphone for recording audio up to 164 feet away (50 meters).